Bellevue, Washington — May 2, 2017 — Fresh off its game-changing results in the US government’s historic 600 MHz spectrum auction and another industry-leading quarter, T-Mobile (NASDAQ: TMUS) today became the first US wireless company to announce plans for truly nationwide 5G. On top of expanding and strengthening its LTE coverage, the Un-carrier will use a portion of its $8 billion mother lode of low-band 600 MHz spectrum to deliver 5G coverage from coast to coast. 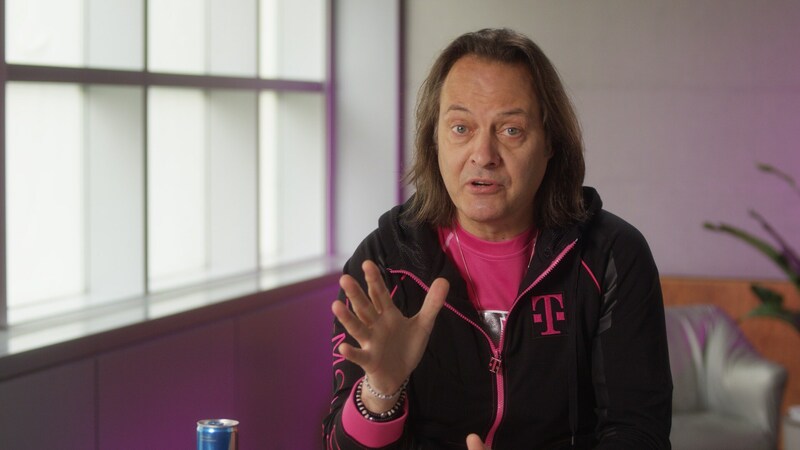 T-Mobile president and CEO John Legere laid out the Un-carrier’s strategy to deliver 5G coverage to customers across the country in a video blog published today. T-Mobile’s 600 MHz 5G network will deliver increased radio efficiency, immense numbers of connected devices, lower latency and improved battery life and reliability, all of which Mobile 5G will make possible. T-Mobile expects to deploy 5G in its low-band 600 MHz spectrum quickly across its existing nationwide macro network, in contrast with the carriers’ millimeter wave spectrum plans, which would require a number of small cells so massive that providing broad coverage would be impossible. This news release includes "forward-looking statements" within the meaning of the U.S. federal securities laws. Any statements made herein that are not statements of historical fact, including statements about T-Mobile US, Inc.'s plans, outlook, beliefs, opinions, projections, guidance, strategy, store openings, deployment of spectrum and expected network modernization and other advancements, are forward-looking statements. Generally, forward-looking statements may be identified by words such as "anticipate," "expect," "suggests," "plan," “project,” "believe," "intend," "estimates," "targets," "views," "may," "will," "forecast," and other similar expressions. The forward-looking statements speak only as of the date made, are based on current assumptions and expectations, and involve a number of risks and uncertainties. Important factors that could affect future results and cause those results to differ materially from those expressed in the forward-looking statements include, among others, the following: adverse economic or political conditions in the U.S. and international markets; competition in the wireless services market, including new competitors entering the industry as technologies converge; the effects any future merger or acquisition involving us, as well as the effects of mergers or acquisitions in the technology, media and telecommunications industry; challenges in implementing our business strategies or funding our wireless operations, including payment for additional spectrum or network upgrades; the possibility that we may be unable to renew our spectrum licenses on attractive terms or acquire new spectrum licenses at reasonable costs and terms; difficulties in managing growth in wireless data services, including network quality; material changes in available technology; the timing, scope and financial impact of our deployment of advanced network and business technologies; the impact on our networks and business from major technology equipment failures; breaches of our and/or our third party vendors’ networks, information technology and data security; natural disasters, terrorist attacks or similar incidents; existing or future litigation; any changes in the regulatory environments in which we operate, including any increase in restrictions on the ability to operate our networks; any disruption or failure of our third parties’ or key suppliers’ provisioning of products or services; material adverse changes in labor matters, including labor campaigns, negotiations or additional organizing activity, and any resulting financial, operational and/or reputational impact; the ability to make payments on our debt or to repay our existing indebtedness when due; adverse change in the ratings of our debt securities or adverse conditions in the credit markets; changes in accounting assumptions that regulatory agencies, including the Securities and Exchange Commission (“SEC”), may require, which could result in an impact on earnings; and changes in tax laws, regulations and existing standards and the resolution of disputes with any taxing jurisdictions; and other risks described in our filings with the SEC, including those described in our most recently filed Annual Report on Form 10-K. You should not place undue reliance on these forward-looking statements. We do not undertake to update forward-looking statements, whether as a result of new information, future events or otherwise, except as required by law. John Legere announces nationwide 5G from T-Mobile in a video blog. Link to view and download the asset in the Media Library.